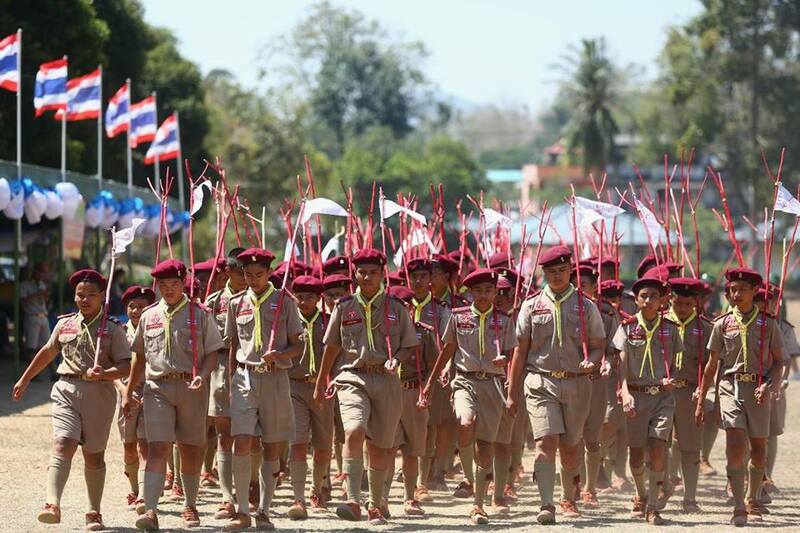 More than 1,300 boys and girls learned to find their way through life and the great outdoors at the Pattaya Scouting Jamboree March 13-15. More than 1,300 boys and girls learned to find their way through life and the great outdoors at the Pattaya Scouting Jamboree. Deputy City Manager Sutham Petchket opened the March 13-15 camp for 1,340 boy and girl scouts at Vajiravudh Scout Camp in Sriracha. Noppasit Na Nakorn of the Education Department laid out the objectives before the youths paid respect to a portrait of HM King Vajiralongkorn. About 200 Pattaya Scout Commodores were on hand to lead lessons and activities that required both practical and mental practice. Lessons during the camp included hiking, mapping, compass navigation, adventuring and pioneering. Fun, of course, also was on the agenda with a huge group campfire held Thursday night.